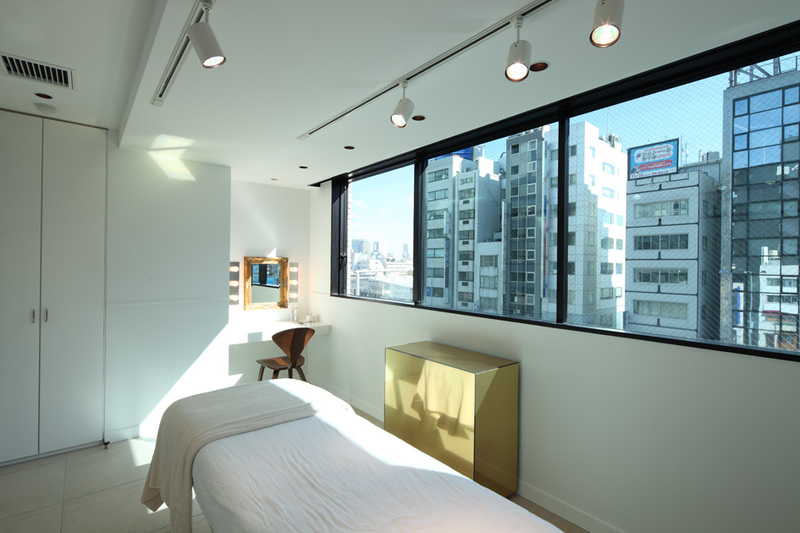 Dr. Takako Kusano, a face often seen in the Japanese media, opened a clinic for cosmetic dermatology in Tokyo's Aoyama area. 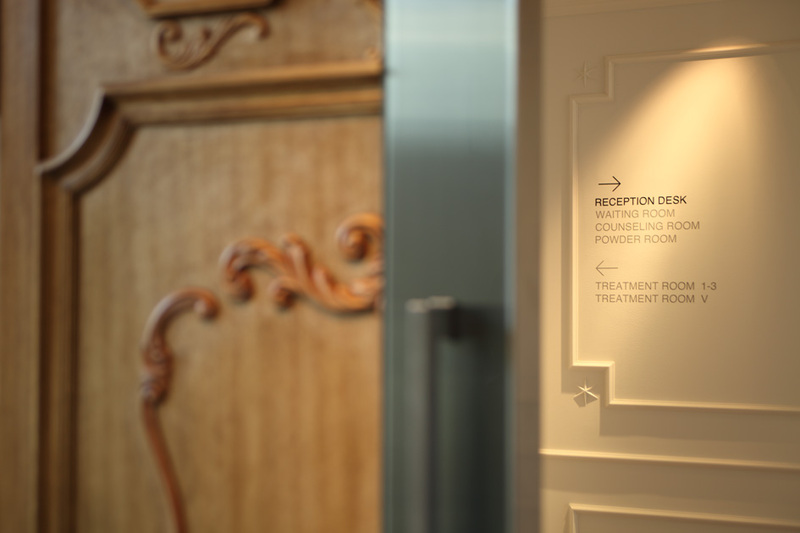 The aim was to have a space like a salon where visitors immediately feel enveloped in a satisfying and happy dreamlike atmosphere. 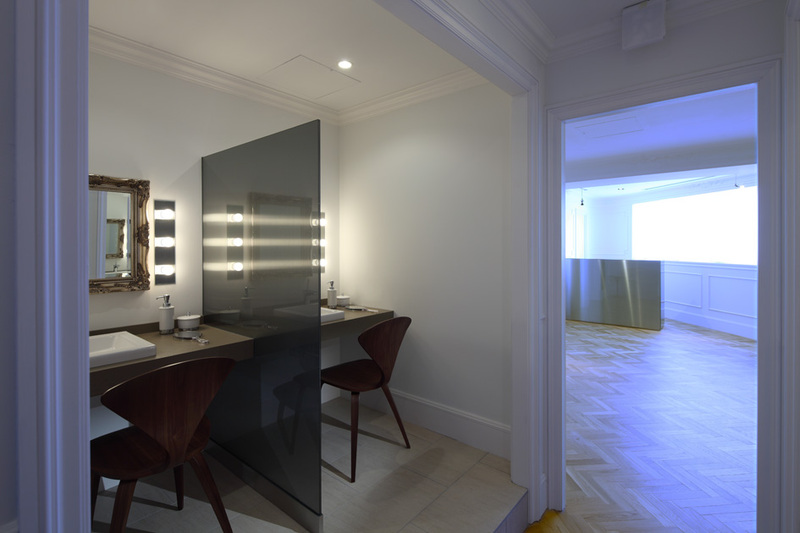 Jamo placed emphasis on creating the proper quality of light in the space and also on the color palette used. 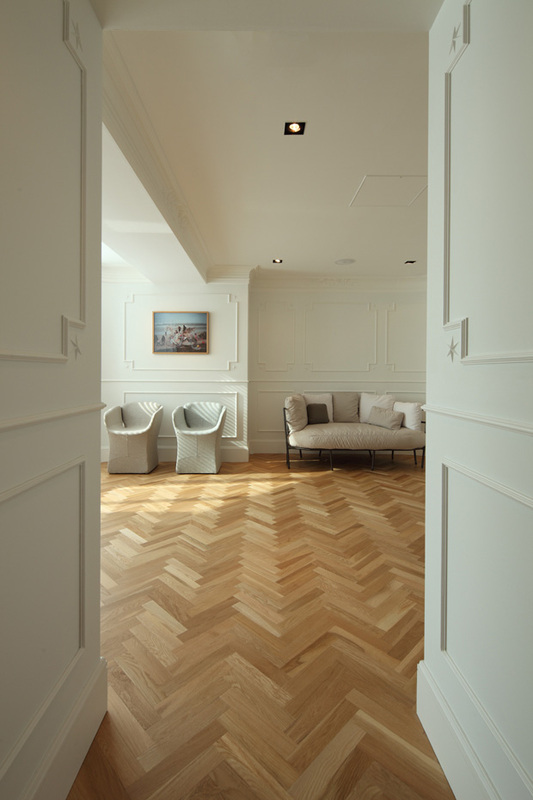 It was also important to choose clean materials that harmonized well with a palette of whites. 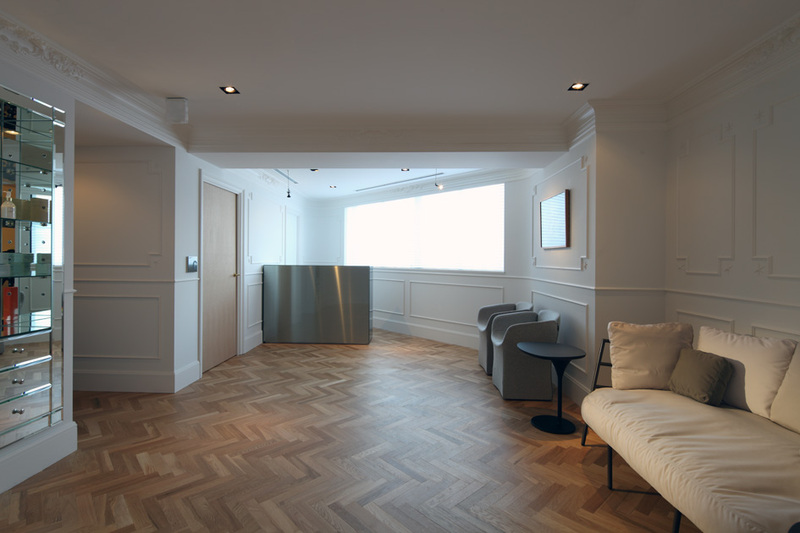 The reception area was built into a gently curving R-shape and a window's natural light was softened by reflecting it into the space. 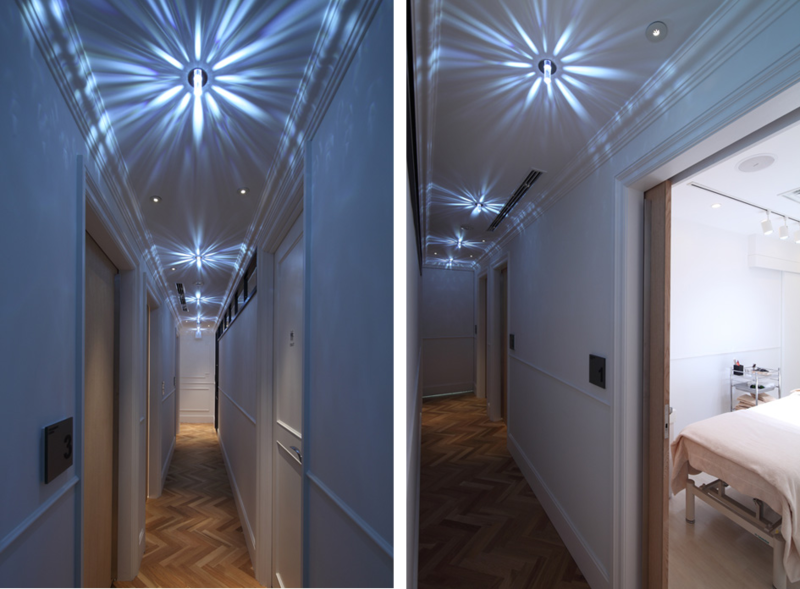 The meaning behind the clinic's name "rikka" (meaning "six-pointed flower" and a poetic name for snow crystals) provides the motif for specially made light fixtures and relief details applied to walls. 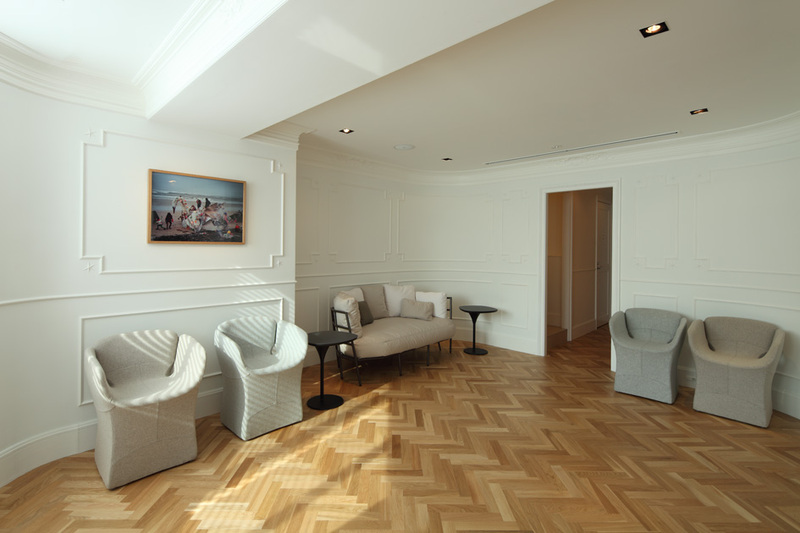 Furniture is simple and refined, with handsome curving lines. 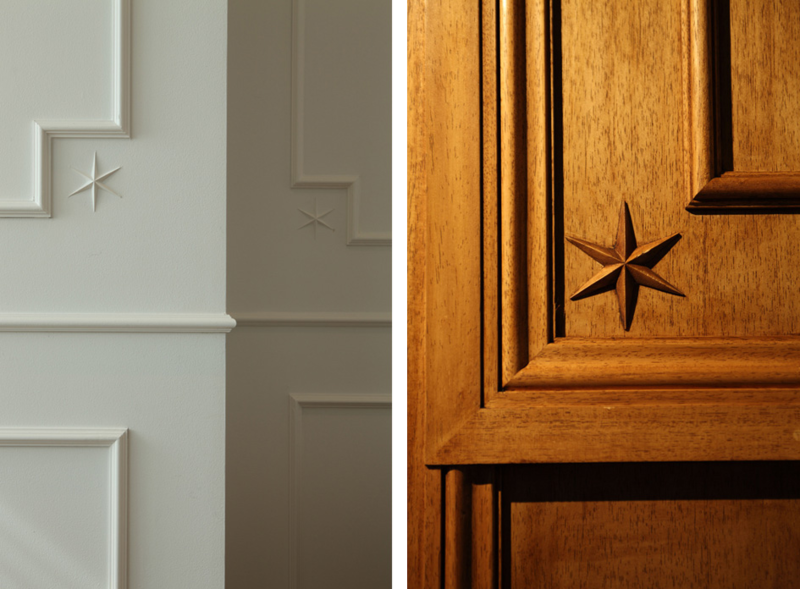 Jamo sought to create a sense of beauty through attention to every detail: materials, lighting, furniture, signage. 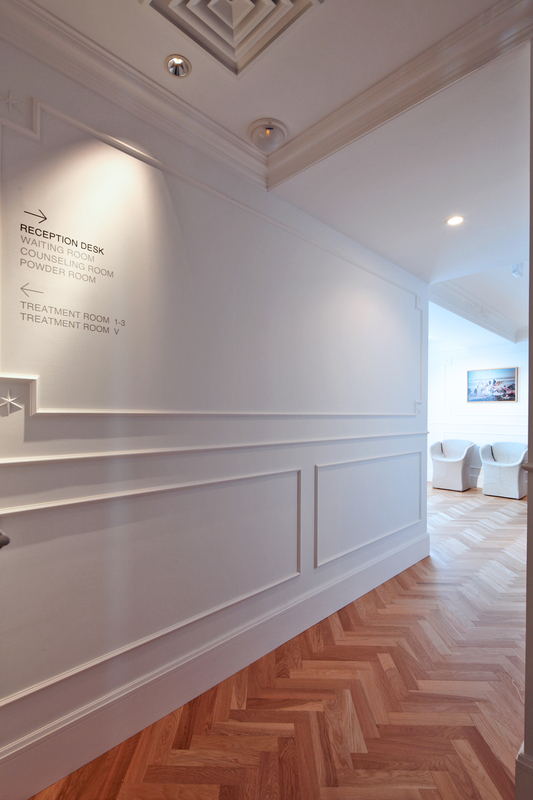 Through the expression of refinement, it was possible to propose a new type of clinic: one that possesses a strong awareness of the idea of "beauty".